The Witching Hour: This week's hot pagan media news! 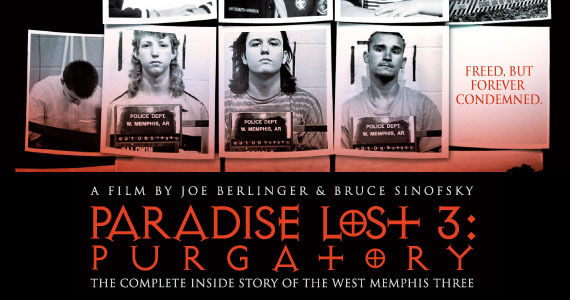 Earlier this week,m it was announced that PARADISE LOST 3: PURGATORY was nominated for an Academy Award for Best Documentary. This is not unexpected news, as the film was short-listed and has been generating a great deal of buzz. There were a lot of great documentaries this year (some of which did not get nominated, to my surprise; what happened, BILL CUNNINGHAM NEW YORK? ), so to receive a nomination is a distinct honor. Well done, Bruce Sinofsky and Joe Berlinger, and the entire production team! 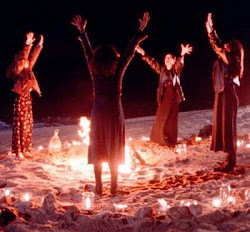 The second bit of news is that British novelist Jeanette Winterson's book on the 17th century trial of the Pendle witches will be coming out this summer. The Guardian also reports a number of other female writers venturing into the horror genre, on the heels of Susan Hill's novella The Woman in Black being made into a highly-anticipated new film by Hammer Studios (I blogged on this earlier for The Celluloid Bough). Thirdly, the British horror classic THE CITY OF THE DEAD (known in the US as HORROR HOTEL) is being remade by a Welsh production company and an enthusiastic young documentary filmmaker who want to maintain the original film's spooky atmospheric charms. The original stars Christopher Lee and is considered by many horror aficionados to be one of the best witchcraft-themed films ever made. It's due out in 2013, appropriately enough (check out that cool poster design). May I say: there does seem to be an ever-burgeoning renewal of interest in the occult in cinema these days! We may indeed be in the midst of the third occult revival in the last 100 years. More on this fascinating development very soon! 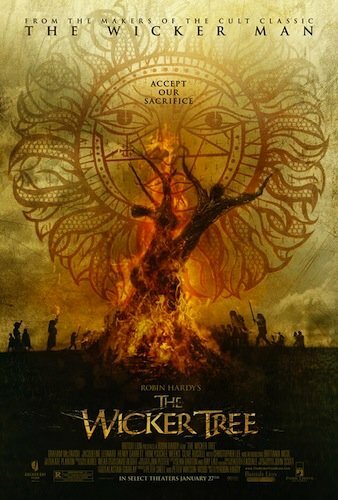 And, last but most assuredly not least, in the sort of news that just kind of knocks your socks off because it's both unexpected and awe-inspiring, THE WICKER TREE has opened in the U.S.! Alas, only in limited release at the moment. It's hard to say when, precisely, it will make its way to your city but I hope it comes soon to a theatre near you (I may have to jaunt off to NYC to see it very soon, I think)This article from the Montreal Gazette has snippets from a few reviews. They're a it mixed at first glance, but, as usual, I am not reading any of them in detail until I see it for myself. More on this terribly exciting event once I get a chance to see it, hopefully by next week.